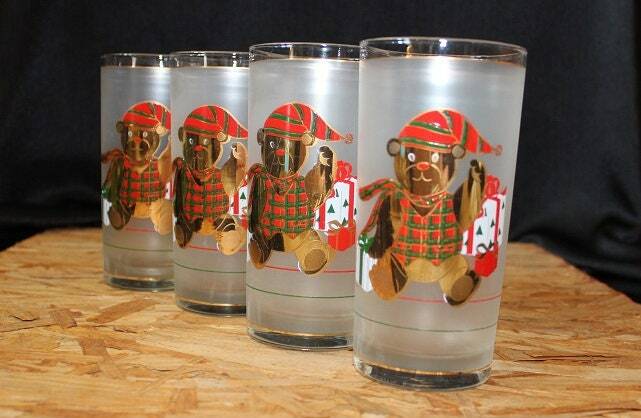 Fun set of four Culver frosted highball tumbler glasses features a 22 k gold teddy bear wearing a red and green plaid vest, scarf and striped stocking cap. 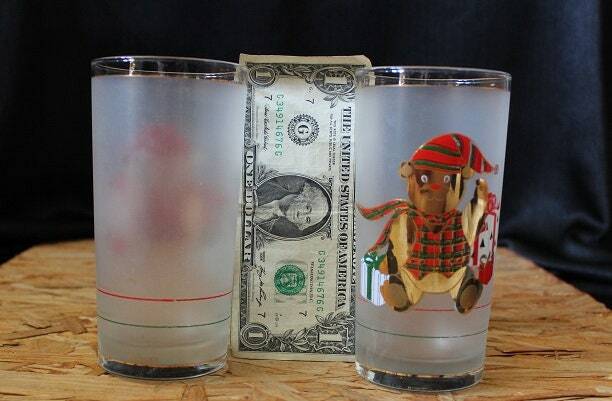 The bear sits center on one side of the glass flanked by 3 Christmas gifts. 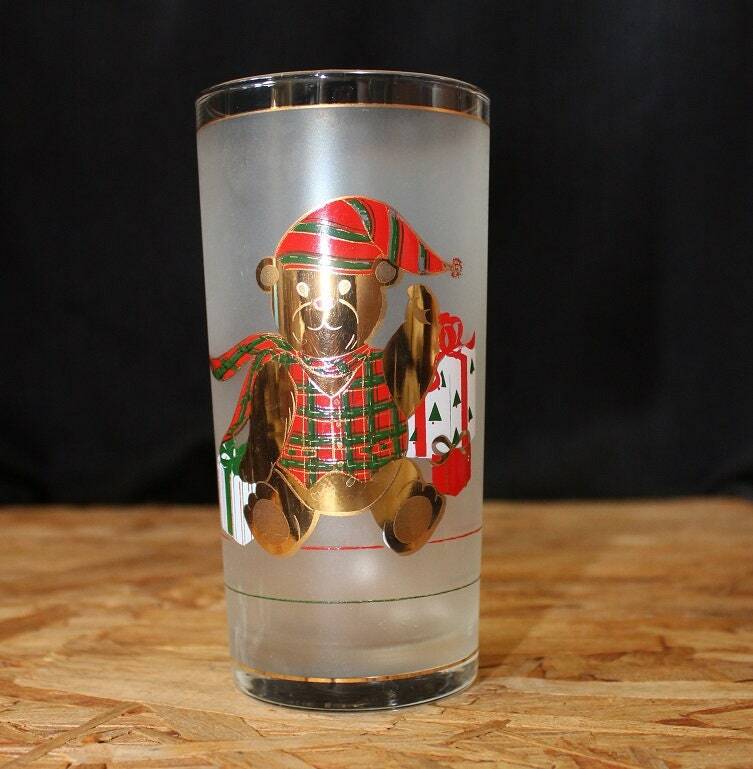 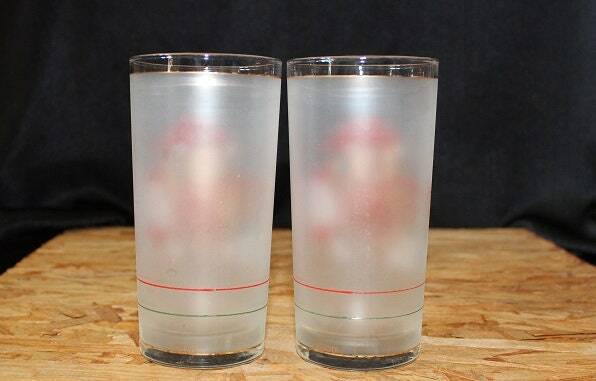 Beneath the bear is a thin red and green line that circles around the glass. 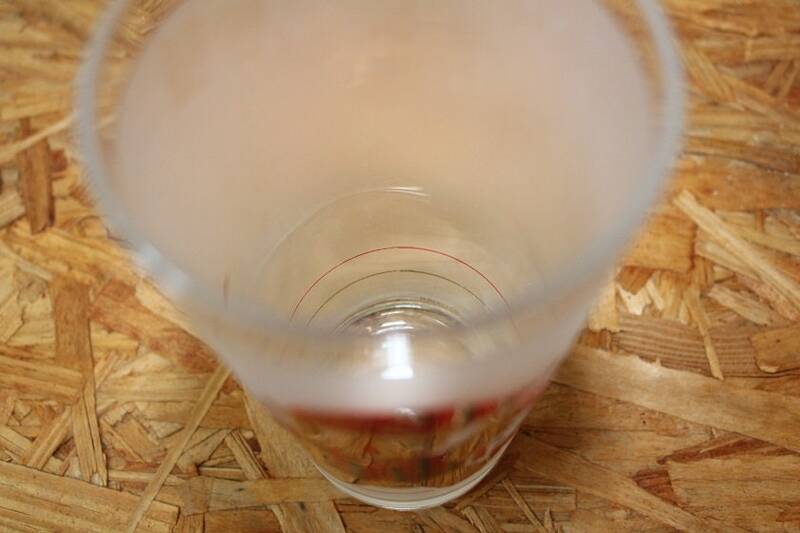 There is also a thin 22 k gold line that circles around the glass at the base and rim. 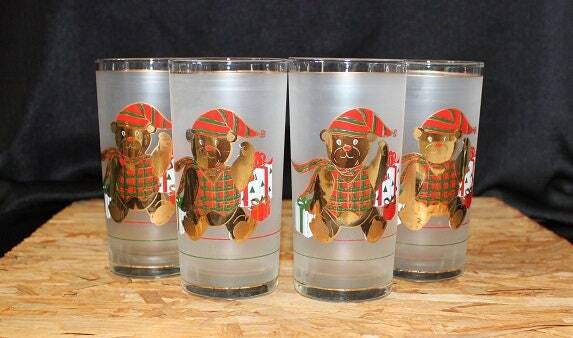 These glasses are marked "Culver".